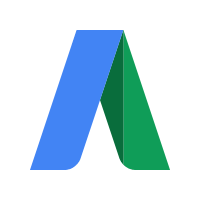 A gifted team of PPC experts at your fingertips. We get results, fast. Our extensive experience in PPC advertising has delivered successful campaigns to a broad range of clients. Built around your objectives and budget we can design a bespoke campaign which delivers maximum impact from your budget. In such a competitive market we're able to maximise click through rates (CTRs) with specifically targeted campaigns, displayed at the right times with the right content. Are you currently running a PPC campaign and not happy with the results? We have worked with clients on developing campaigns that have not only delivered more results but have saved them thousands on their monthly spend. With creative and actionable content and the right search term criteria we're able to pinpoint your message to your exact target audience. We're Google Partners, so we deliver consistently strong results across a broad range of client accounts. Being partners we also have access to high level support from the experts at Google, so we work with them to maximise results for our clients. Google (and lesser search engines) Pay Per Click advertising is a fantastically powerful marketing tool. With the right adverts, landing pages and the right search term selection, your website can gain website traffic from potential customers in buying mode. Wish are an experienced PPC Agency who can refine your existing strategy and maximise your budgets, or create new campaigns targeting the right people at the right time. Shopping results now dominate product search result pages (SERP’s) and Google users are very familiar with Google Shopping. Controlled budgets and refinement are the key to increased conversions and maximum ROI. We can create the shopping feed for your ecommerce website and plan & implement successful ad campaigns around your products. Our media buying network enables us to spread the net far and wide to gain valuable prospect visits and engagement with your brand. Remarketing then enables us to maximise every single visit with targeted advertising to past website visitors. Our display experts know how to get attention, whether it’s an awareness campaign or a specific promotion, talk to our experienced team about your needs. Social networks can be very powerful marketing tools for businesses if managed in the right way. Promote and advertise effectively to build awareness and engagement with your brand. Our social team ensure they understand your business objectives to establish where the opportunities lie on the social landscape, we then deliver intelligent strategies to get the desired results for your business.